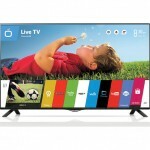 BuyDig.com has a bundle consisting of 49″ LG 4K Ultra HD Smart LED HDTV (49UB8200) + 8GB 7″ LG G Pad Tablet (V400) + LG Bluetooth Soundbar (NB3530A) on Sale for $1249. Shipping is Free. The LG ULTRA HD 4K UB8200 shows stunning 4K resolution that’s 4 times the resolution of Full HD. LG’S IPS panel puts brilliance on display with a wider 4K viewing angle than Samsung 4K TVs. Both Full HD and 4K content is available through our Smart TV with streaming partners such as Netflix, YouTube, M-Go and more; plus, our Tru-4K Engine upscales all content to near 4K quality so no matter what you watch, it will look better on our UHD TV. And with the HEVC Decoder, the UB820 is ready to play next generation content with the recently developed HEVC compression format. With UCI 1080 you get stunningly clear fast moving images, which is great for action movies, sports and games.